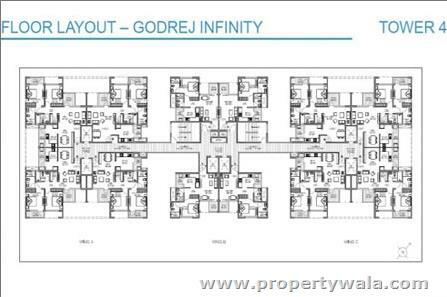 Godrej Infinity Pune is a landmark residential project offering well designed apartments to buyers at Keshav Nagar in Pune. 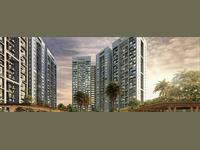 Godrej Infinity Keshav Nagar offers maximum ventilation, natural sunlight, natural greenery and amazing views. The project has more than 50% of open green spaces as part of its 1st phase coupled with a beautifully landscaped riverside bandstand. 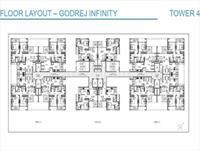 There will also be attractions like 9 ceiling heights of rooms and a carefully tailored convenience zone amidst the central greens for greater leisure, relaxation and unwinding.There are several Godrej Infinity amenities to look forward to. The project offers a club house for every phase along with a central road to facilitate easier internal movement of vehicles. There is a health zone with poly clinic provisions integrated into the project along with a playing zone for children and abundant parking facilities. 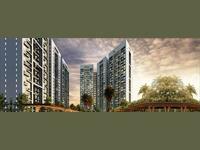 Other amenities include invertors for apartments, RO filters, video door phone facilities, outdoor games zone, central park, café, entrance water body, town square, terraces for every apartment, shopping centre, intercom facilities, 24 hour security services and rainwater harvesting systems. 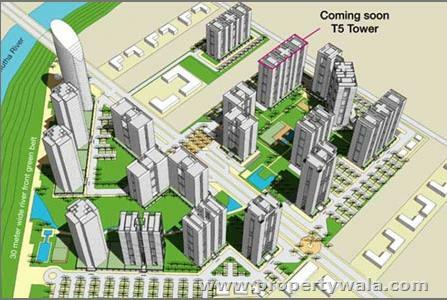 Added amenities include a well equipped gymnasium, badminton and tennis courts, swimming pool, sand pits, basketball facilities, indoor game facilities and ultra high speed broadband connectivity. 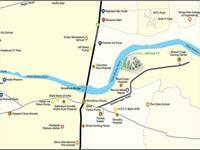 2 BHK Apartment for sale in Hadapsar, Pune (Kumar Prospera A1 And A2). 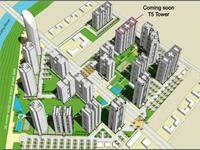 2 BHK Apartment for sale in Kharadi, Pune (Duville Riverdale Heights). 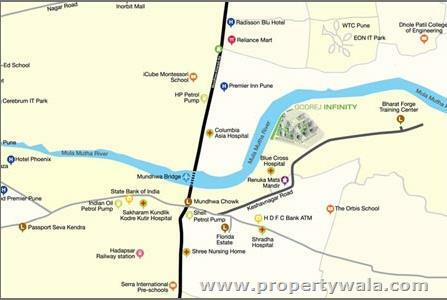 2 BHK Apartment for sale in Hadapsar, Pune (Kumar Picasso O).